Whether your car is in need of an oil change or you hear a strange sound when braking, FIAT of Portland is standing by to assist you in any way possible. Our auto service and repair department knows FIAT models inside and out, so they know how to keep your FIAT 500, 500 Abarth, 500C or 500L running efficiently – and how to get it back on the road when a larger fix is needed. That means minimal down time on your end, as well as better potential resale value for your car. Among the many ways that our skilled technicians keep your car in excellent shape is a commitment to using only certified FIAT parts. That means you can count on your vehicle looking and functioning as though it had just rolled off the assembly line. 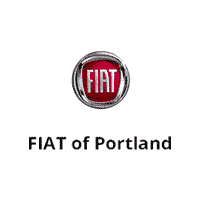 If you’re interested in scheduling an appointment with FIAT of Portland at 4 Rand Rd. , Portland, ME, simply fill out our online contact form. We’ll reply in a timely manner to confirm the details of your service visit.